Google Analytics is the most popular platform for website statistics. If we imagine our desktop or mobile software as a website, shouldn't we be using the same successful analytics platform also for our software usage analytics? This is the idea that sparked the creation of SoftMeter, our software usage analytics library for Windows, MacOS and IOS. SoftMeter, with its 0.9 version, added support for IOS devices (iPhones and iPads). Now, SoftMeter's compatibility list covers Windows, MacOS and IOS. Under IOS, the library comes as an IOS framework bundle that you can include in your app's bundle. 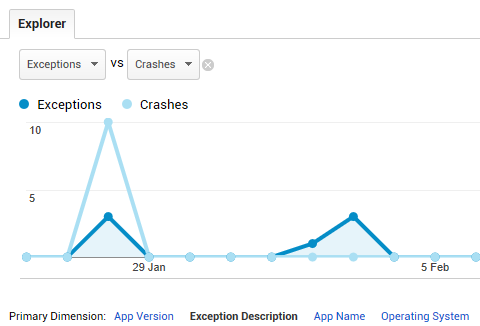 The API is simple, so you can add application analytics to your app, in less than one day. As software developers for desktop software, we monitor how visitors arrive at our website, which pages they visit the most, which are the entry and exit pages. We also measure the number our software was downloaded. And then, after the download, there is silence: We do not know if the user installed the software if he/she keeps using it or he/she abandoned it the next day. We do not know how many active users we have. Software usage analytics is the category of tools that can help throw light in these questions that every developer has. This blog describes how you can add installation analytics to your existing Installaware script. With the installation analytics you will be able to see the daily/monthly/yearly number of installations and uninstalls, the operating systems where the installations occur, the countries of your users and much more. 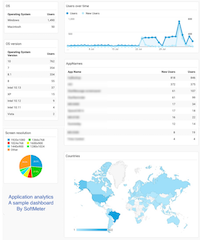 You can monitor the usage of your Delphi/Pascal GUI desktop application with Google Analytics, using SoftMeter. SoftMeter brings free Delphi analytics to your Delph or pascal programs. Indie software developers are used to measure their website traffic. With the new Installation Analytics tools, they can now also measure their software installations and removals. Your new MacBook (or Mac) comes with some built-in Apple screensavers, but you would certainly prefer a bigger variety of Macbook screensavers to choose from. Read here our suggestions for your Mac screen savers. Our desktop software analytics library (SoftMeter) allows you to monitor your software program's exceptions by sending them automatically to Google Analytics. It's time you see some instalaltion analytics for your shareware or other types of desktop software. With SoftMeter, you can monitor your software's distribution and installation analytics using InnoSetup, and Google Analytics. A free and easy to implement solution. Website vs Mobile App types of reporting views in Google Analytics, and the measurement protocol. The Google measurement protocol can send PageViews, ScreenViews and Events to your Google Analytics account. See a comparison listing the similarities and differences between the two types of reporting views: Website vs Mobile App. Shareware developers can now monitor the usage of their programs via Google Analytics, in the same way they monitor their website traffic. This is the announcement of v0.5.2 of SoftMeter (former libAppTelemetry) that brings this capability to indie programmers (Windows, MacOS X). 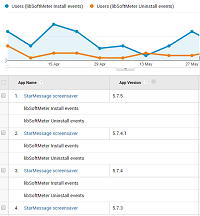 By using SoftMeter in your shareware/software application you can see runtime statistics of your desktop program via the Google Analytics platform. As a shareware developer, you are probably already using Google analytics for your website traffic as it is a free and reliable solution. With our SoftMeter library, you can now also monitor the usage of your software program. In this article, you can see examples of the reports that you will get. This procedure requires less that 10 minutes of your time. Together with the waiting time for the servers to update, the domain switch takes from 50 minutes to few hours to complete. As this is completed in less than a day, you can perform the transfer just a few days before the renewal date your domain. Comparison of runtime usage analytics for software: Revulytics/Trackerbird, Nalpeiron, Appdynamics, Deskmetrics, Telerik analytics, etc. Or take a free solution to see statistics of your software in Google Analytics. 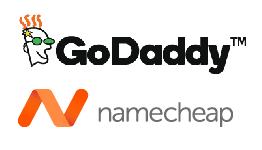 A list of free online tools that will help webmasters check their website for errors, inconsistenices, and issues like the DNS propagation, site load speed, HTML validity, website health, website who is who history, SSL status, and more.